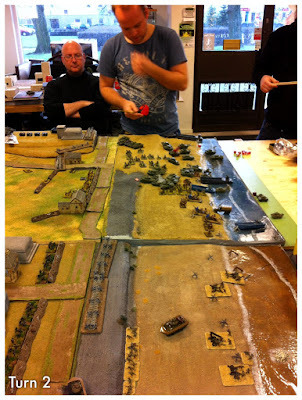 Last Sunday did I try something new for Flames of War which was very fun. 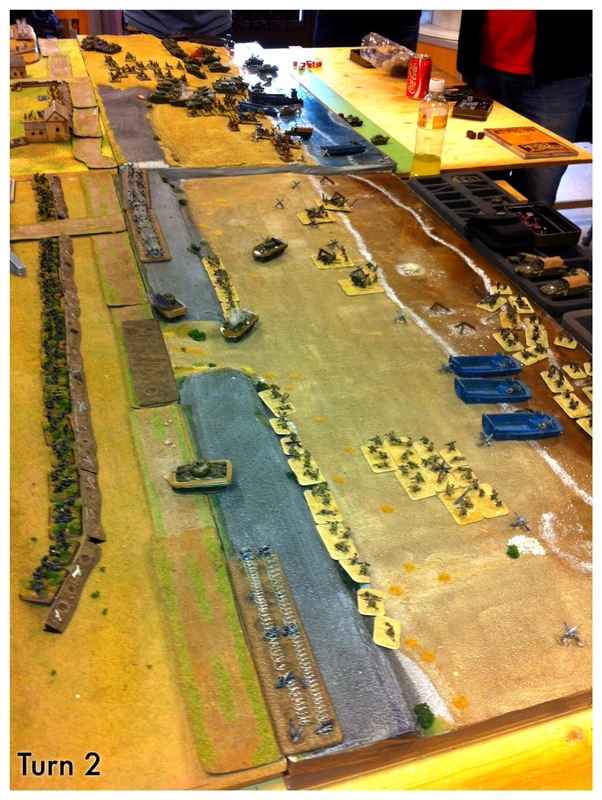 At my local game store did we play a Beach landing scenario and it was a part of the campaign they are running. On of the local gamers supplied with to beautiful beaches and villages so a BIG thanks to him otherwise would this not be possible. Because it was in the campaign and we are at only 600points at the moment where we 5axis general and 4 allies general with point boost´s. Of course did the Germans have a few coastal defences and the allies more soldiers to storm the beach. Deployment as normal Germans dig in and try to hold of the allies onslaught. The allies push forward and there where very few tanks or troops that fell to the sea. 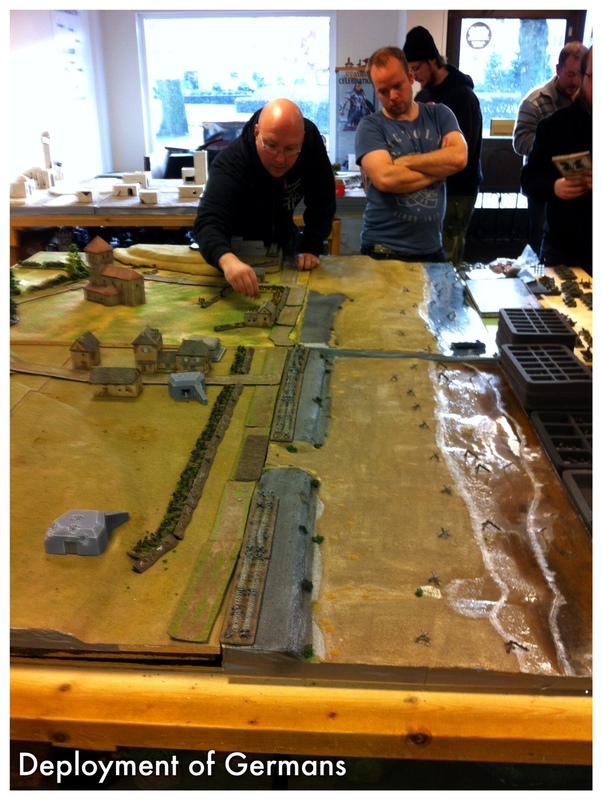 So nearly one complete tank companie of 1700points made it to the beach this would pay of later on when they could storm the inner regions. After turn three did I have to go for other engagements but the result was as expected for a beach landing. The Allies could claim a 5:2 victory and will claim to territories on the campaign map. But I think this will make the campaign more fluid and fun. So let´s hope that it will be more special events in the future.